Philadelphia Flower Show: March 3-11, 2018. Established in 1829, this amazing show quickly became the largest indoor display in the world, covering 10 acres with gardens and garden-related displays. This year’s theme is “The Wonder of Waters.” Tickets can be purchased on-site. Indiana Flower & Patio Show: March 10-18, 2018 at the Indiana State Fairgrounds. GWA Region III will have a “Connect” meeting there on Sat. the 10th. Chicago Flower & Garden Show: March 14-18 at the Navy Pier. “Every Garden has a Story to Tell” is the theme, with 20 major gardens and dozens of vendors, speakers, seminars, and more. 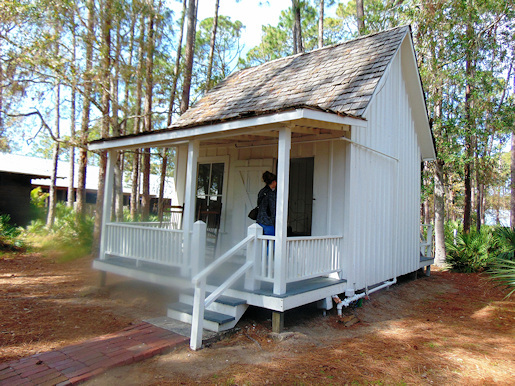 GWA will have a “Connect” meeting there. Kentuckiana Herb Symposium: March 24, 9-3. Always a terrific event, held at the lovely Plantation House at Huber’s Orchard & Winery in Borden, Indiana. This year’s theme is “Hoppin’ Good Herbs!” Delicious food, a huge array of items for sale, including herbal baked goods, plants and crafts.Lots of vendors, silent auction, and delicious food, plus a full day of speakers. 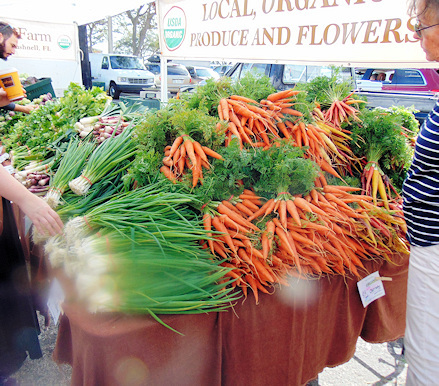 NOTE: Carolee’s Herb Farm will have a booth bursting with herb and garden delights at great prices…I MUST eliminate my rented storage unit full of inventory!!! HSCI Herbal Symposium: April 14. One of my favorite days of the year.Great décor, food, speakers, vendors, silent auction and more.Hamilton Co. Fairgrounds, Noblesville. Visit the HSCI website for more info, and registration information.Note: Carolee’s will have a booth here as well….don’t worry there is plenty of inventory left for both shows!!! Some feel the flower shape resembles a wheel, which gave rise to another common name for the plant, “St. Catherine’s flower” since that saint was executed on a wheel. Other less complimentary names are “Jack in Prison,” “Prick My Nose,” or “Devil in a Bush.” Most prefer calling it “Love in a Mist” or “Love in A Tangle” or “Love in A Puzzle.” A few very old catalogs called it “Lady in the Green.” All grow on delicate, thread, mist-like foliage to a height of about 18” and form a branched plant with several flowers. 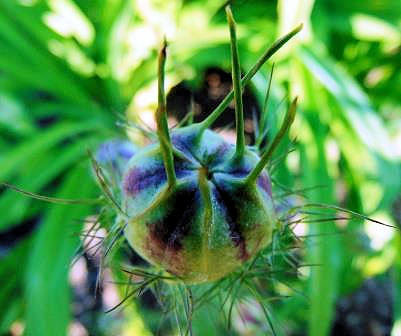 Once the flower is finished, a 1” pretty balloon-shaped pod forms, often streaked in dark purple. These pods are often dried for floral arrangements. Inside the pod are black seeds. The seeds of Nigella sativa, also called “Nutmeg Flower” are aromatic and some say slightly narcotic. They are sometimes used as a pepper substitute. 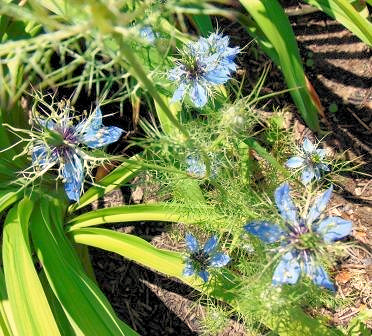 Nigella is a “cottage flower” that will readily self-seed if given the opportunity. It grows happily in average soil, sun to very light shade, and prefers cooler temperatures. The seeds are best scattered to grow where desired, since they resent being transplanted. 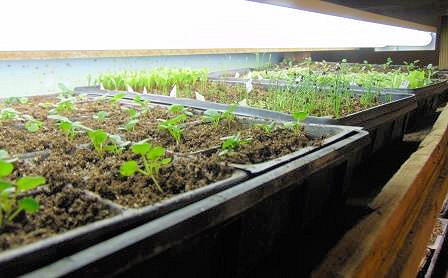 Cover the seeds with a handful of soil to provide darkness for germination. I often sprinkle them on the snow in February (like poppy and larkspur) but do cover them or the birds will have a feast. *To clean artificial flowers or plants, throw them in a bag with a handful of salt. Shake vigorously. The salt will remove dust and absorb dirt. Gently shake flowers and they will look like new. *A bit of baking soda and a damp cloth will often remove pen markings. Visiting family in Florida is always a lovely treat, and I’m even happier when it includes a garden visit. This trip my daughter and I ventured to Largo, to the Florida Botanical Garden. It was a beautiful day to take a walk and photographs. However, I didn’t notice a big smudge on my lens, so please forgive the “cloudy” spot lower left of each photo. Unfortunately, many of the photos taken were too poor to include, so there aren’t pix of all gardens. 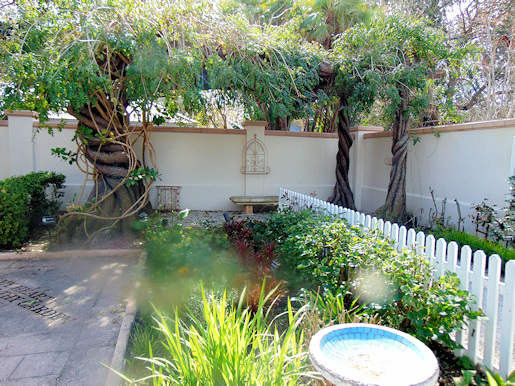 There are several themed gardens throughout the expansive property. One of the featured and most used is the enclosed Wedding Garden, which was filled with beautiful roses and other plantings. 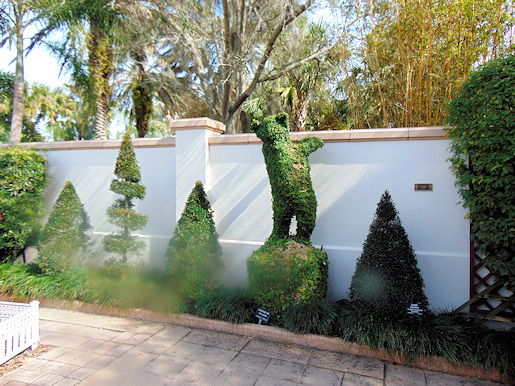 One interior contains the Topiary Garden. 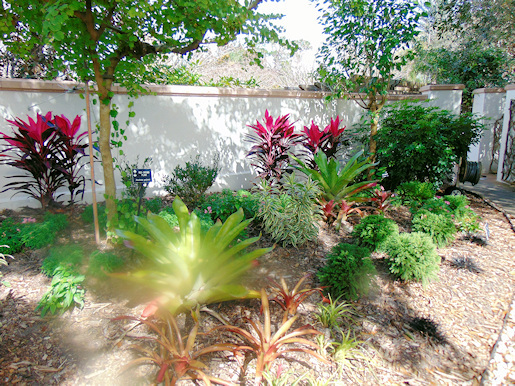 There are also Native Plants section, a Butterfly Garden, Vine Garden, a very large Succulent Collection, and a Kitchen Garden and more. 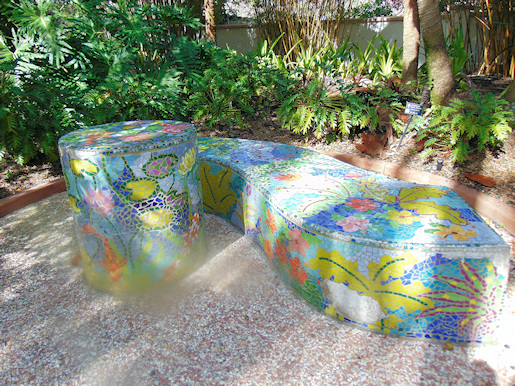 Throughout the winding paths there are intricate mosaic benches such as the one above, adjacent to colorful plantings for viewing as one rests. 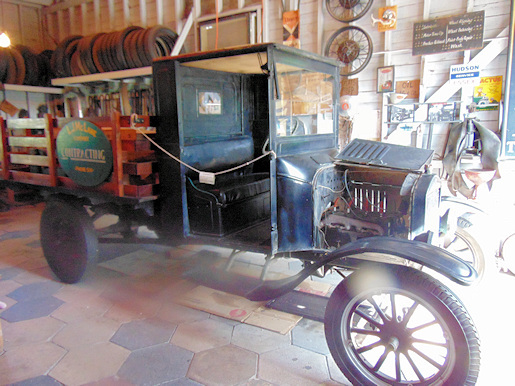 At the far end of the Botanic Gardens is the Heritage Viilage, a large museum containing dozens of historical buildings that have been moved to the site, rather like our Conner Prairie here in Indiana. 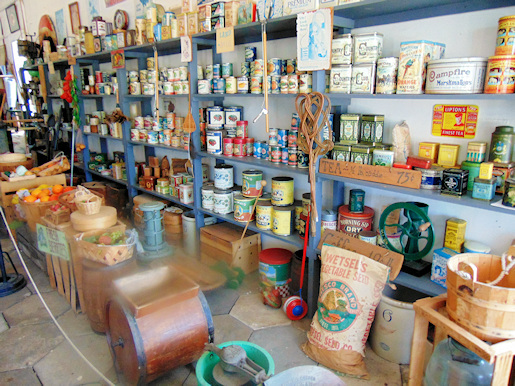 My favorites were the mercantile store and the garage shown below. 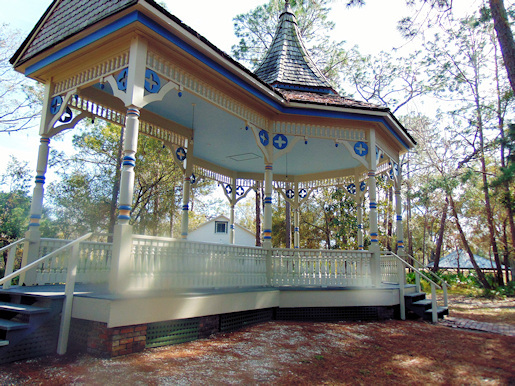 Various styles of houses that were common in Florida over the decades are represented, as well as this lovely bandstand that was removed from the park in downtown St. Petersburg. Too bad they didn’t keep it there! Of course we had to visit the St. Petersburg Farmers’ Market on Saturday morning. It really has evolved to more of a food event with dozens of ethnic food vendors, but there are still some excellent produce stalls as well. 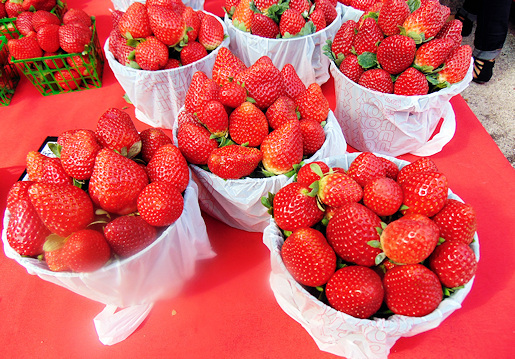 It was strawberry season, and these berries were too tempting to pass up. There were also edible flowers and lots of carrots and well as every other vegetable one could imagine, and some exotic ones as well. Definitely worth the trip if you visit the area. 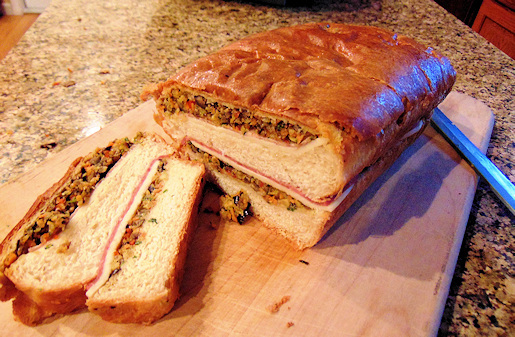 A traditional dish in New Orleans, I made this favorite for my Mardi Gras party, but it’s a great make-ahead picnic sandwich. Make them in slider buns for an appetizer or party. My friend, Sharon says she loves just the olive salad part over cream cheese spread on a cracker as an appetizer. I could eat the entire olive salad just by itself! Peel and slice 1 carrot. Place in food processor along with 1 stalk celery (or ½ c. Lovage leaves), diced coarsely; 1 clove garlic, chopped; leaves from 6 stems of parsley, and 2 T. fresh (or 2 tsp dried) oregano leaves. Process until coarsely blended. Drain the juice from a 3 oz. bottle of pickled onions (I use my marinated Cipollini!) and reserve. Drain a 5.75 oz. jar of salad olives, mixing juice with that of the onions. Drain a 6 oz. can of black olives, discarding juice. Add onions and olives to processor with 2 T. capers, and 3 T. olive oil. Process just until blended. Mixture should be coarse. Taste for seasoning, adding 6-8 grinds of freshly ground pepper and a little of the reserved juices if it seems dry. Slice a 10” round loaf of white bread (or two regular loaves) in half (or thirds) horizontally. Scoop out the top, leaving about 1”. Sprinkle cut areas with good olive oil. Spread half of the olive salad on the bottom. Layer sliced Provolone cheese, Genoa salami, Mortadella (or Cotto Salami), thinly sliced ham, and sliced Mozzarella cheese over the salad. Spread the remaining half of the olive salad over the cut side of the bread top half. Carefully put the top back onto the loaf. Press together. Wrap tightly with plastic wrap and place in refrigerator with a heavy weight on top for at least four hours or overnight. Cut into wedges and serve 8-10 hungry people.